They say imitation is the best form of flattery, but somehow Nintendo probably won't see it that way. 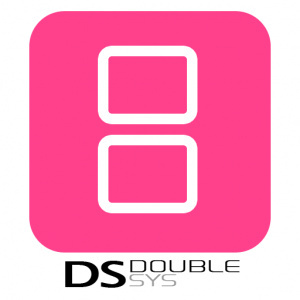 App developer ZM2 Dev is behind the DoubleSys, an iPhone and iPod Touch app that emulates a Nintendo DS. Not in the sense of emulating games, but the handheld itself. You can rotate the system in a 3D space, open and close the device, change its color, and it's even got a few built-in games to play. Even the logo is the same, making you wonder how this ever got into the iTunes store to begin with. Popular the world over, the hit game console is now available for the iPhone and iPod Touch! Oh jeez. That isn't even trying to cover your tracks. The developer promises updates adding more games, colors and a microphone function, but smart money is on none of that ever happening. Apple had previously rejected a Commodore 64 emulator on the grounds of the app having to load and execute external code (roms, essentially). 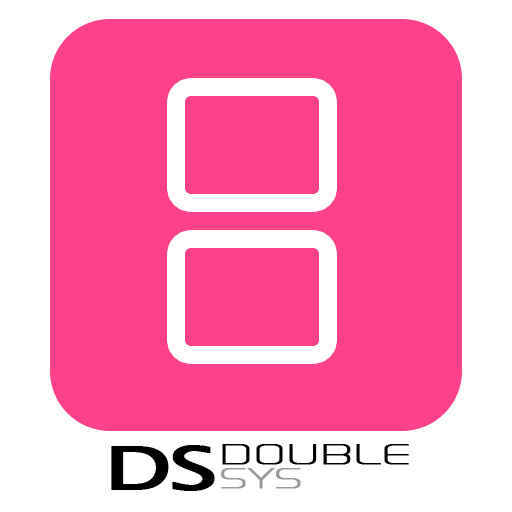 The DoubleSys doesn't do this, but come on, Apple. Check out the video below to see unadulterated plagiarism in action. It's $4.99 and if you want to get it, well, you'd best act quick before Nintendo finds out. Ironically, certain flashcarts for the first, second and third generations of DS have built in MP3 players (DSi on its own only plays AAC). Their GUI of choice? The Ipod. How odd. I don't see this staying up in the app store very long, for some reason. Talk about a waste of money and effort. If you can't even play DS games with it, what's the point? So Apple rejects Google Voice and accepts THIS?!! I guess they figure if they rejected it, a version that can load roms will just end up on Cydia. (the jailbroken app store) But yeah, I give this app 5 days. Looks cool. If I had an iPhone, I'd buy it. If you can't even play DS games with it, what's the point? Getting money from suckers who think it does? I have an itouch and will be passing on this, though the game shown (Pixel Mania) looks pretty fun and I hope it survives in some form. Somehow I don't think Nintendo is going to take this too kindly. Like jpfan1989 said, there's probably gonna be a lawsuit. This wouldn't last long in the store. Honestly, the Apple App Store is has THE worst handlers in the world, GabeGreens is dead on, it's like they want to get sued. Just look at the Duck Hunt app they had originally. I made the same mistake at first. Then I watched the video and noticed it said Simulator. A lsight difference. Basically, this will be taken down but ZM2 Dev has got their 5 minutes of fame and they'll put the games their DS simulates up on the app store. With about 5 million competing programs all being sold for $2 or less you need something ot make you stand out. Is this only out on the NA AppStore? I can't find it anywhere. Yeah it's more like a DS simulator, but I'm pretty sure it's gonna sell like water, people will be fooled and go crazy like "OMG I can play NDS on iPhone!!!". But that Pixel Mania game looks cool, huh? It's so simple and looks so fun to play, it could be a DSi or WiiWare game. That's nothing compared to the Neo Double Games! This one shouldn't even require a lawsuit, just a letter/call from Ninty's legal dept to the effect of "Umm, guys ... seriously?" Ok WTF...Apple rejects Google Voice but not this! It doesn't even emu-/simulate a DSi! I feel a lawsuits comming!! That's wierd. Well, its actually quite blantantly stupid and pointless. You won't be playing ds games on it anyway. Hello?! Hah. Crap if I ever saw it. Wow, the rip-off is so blatantly obvious it's not even funny! I think Nintendo already knows about this. Because now the video will not play. I can't watch the vid. The Big N found out. Lol @ the tag "Shenanigans"
Yep, The vid is down. Copyright claim by Nintendo of America. Did Apple WANT to get sued? Is it really that hard to spend $150 on a real DS? Epic win: The video has been pulled due to NoA's copyright claim. Hopefully that stupid app won't be far behind. And I hope Apple gets the pants sued off of them, I'd love to see them and their trendy hunk of scrap metal taken down a few pegs. "Ironically, certain flashcarts for the first, second and third generations of DS have built in MP3 players (DSi on its own only plays AAC). Their GUI of choice? The Ipod." Where's the irony? Flash carts are not sponsored or endorsed by Nintendo like the app store is by Apple. There's no irony there at all: Not Nintendo's fault that third party companies sell that product. But it is Apple's fault that they put this on the app store. Not the same thing, meaning there is no irony. To be fair its an ok device. Its just that I don't like Apple the company as much as I don't like Sony. This incident has shown us how arrogant and idiotic they are. Nice! They got the video, too! I mean, look how fast they got the Kama pulled and then fixed. I mean, this looks like 2-4 seconds to pull it. Its just Apple saying if they can't beat it, Steal it! I was one of the people who reported it to Nintendo! Someone over at Apple is either high or not doing his job for letting this happen. Kudos to Pikamander2 for reporting this.